It can happen when we least expect it. You or a loved one could be feeling fine one minute, and suddenly you can’t stand on their own due to a stroke. A stroke can be caused by a blood vessel in the brain bursting, or a blockage in the carotid arteries in your neck which supply oxygen-rich blood to the brain. While strokes are readily determinable by their symptoms, it is critical that they are noticed and attended to quickly to ensure that there is no long-term damage to the brain. Thankfully, there is an acronym to help determine if a person is suffering a stroke: FAST. One of the most commonly known symptoms of a stroke is that of Face Drooping. When a stroke occurs, the brain is not getting the blood it needs to function the rest of the body. Asking the person to smile is a good way to determine if this symptom is occurring. As the brain struggles to get blood, nervous system cells are already beginning to die. This can cause hemiplegia, or paralysis on one side of the body. Although found in the face (see: face drooping), it occurs in the Arms as well. A person experiencing a stroke would not be able to lift both arms to the same extent if asked to do so. During the course of a stroke, a person can become very confused, often slurring their speech trying to assess what is happening to them. They will not always understand that they aren’t speaking properly, or what is being spoken to them. This can be alarming, so it is crucial to assure the person that all is okay and you are getting help. If you notice someone experiencing any of these symptoms, it’s time to call 9-1-1. Time is crucial in the case of strokes; any type of delay could take the situation from bad to worse. Even if the symptoms were to stop, the presence of them in a person is a sign that the worst could be coming. 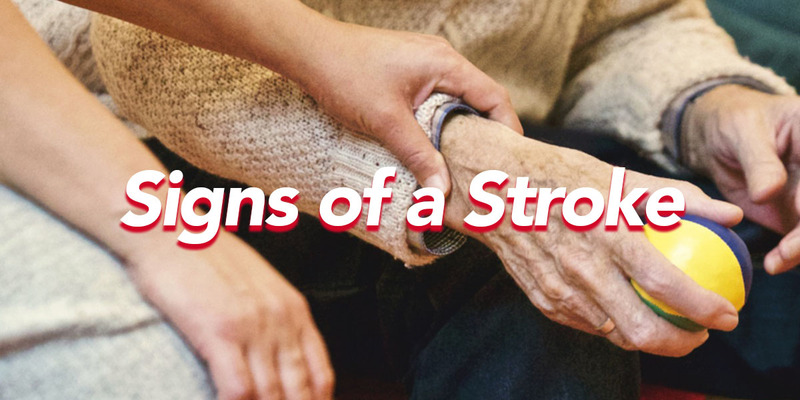 Although these are not all the symptoms of a stroke, they are the defining ones; now you can determine even if someone MIGHT be having a stroke. If you or a loved one begins showing smaller signs like the ones mentioned above, check with your doctor; a simple ultrasound of the carotid arteries can determine if they’re starting to reveal blockages.